Brazil has the greatest biodiversity in the world with perhaps 30% of all species, but its forests are among the most threatened. In the 1980’s, when satellite images first revealed the rate of destruction, deforestation became a focus of worldwide concern. Conservationists called for action. More recently, the growing evidence for global warming and link with deforestation has again put Amazônia on the international agenda. Despite all the concern and effort to deter clearance for pasture, the Brazilian Amazon’s agricultural frontier continues to lose more forest annually than anywhere else in the world. Attempts to save the forest have concentrated on creating protected areas and incentives to halt unsustainable use, but have mostly ignored the beliefs and attitudes of people working the frontier. Most are poor migrant farmers who need income, but lack fundamental knowledge of how to use the forest. At the same time, for most Brazilians in the cities where policy is determined, Amazônia is nothing but a distant place. Meanwhile, the forest is disappearing. The apathy felt towards the rainforest jeopardises even protected areas. 30% of the people who live around Cristalino State Park – the most biologically diverse, but threatened park on the frontier – strongly oppose the park and conservation in general. 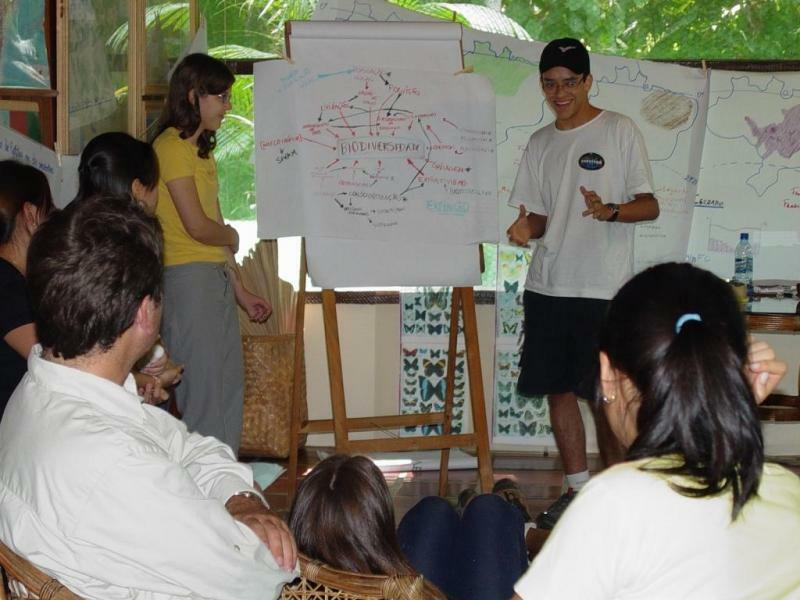 Brazilian zoologist, Silvio Marchini, 38, established Escola da Amazônia in 2002 to research attitudes to the Amazon and raise awareness amongst Brazil’s young people. EDA works with local government to train teachers from schools close to the State Park and offers practical activities inside the forest. Rural participation is funded by a ‘sister school’ programme linking private city schools to public schools on the frontier to produce a sustainable model for conservation. By bridging Brazil’s two worlds – rich and poor – EDA encourages the next generation to respect nature and debate alternatives to ranching and deforestation, regardless of background. Nearly 400 students have participated. 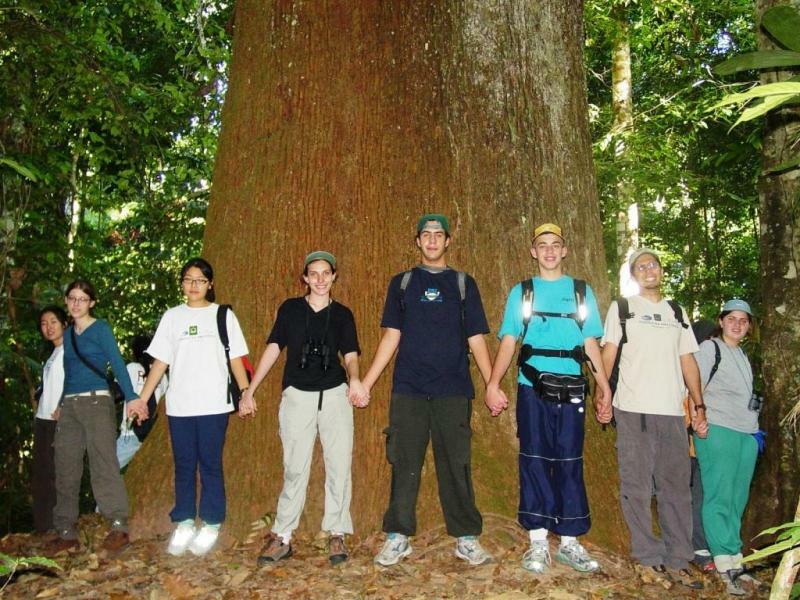 Silvio is now expanding the program to bring more schools together to halt habitat loss in this country of contrasts. 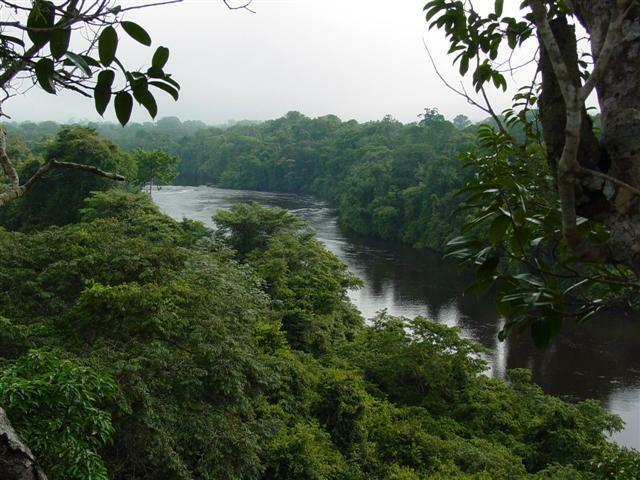 In two generations, 600,000km2 of Amazônia (more than twice the area of the UK) has been lost. Last year alone, forest loss was 13,100km2. Cattle ranching accounts for 60% of deforestation and subsistence agriculture another 33%, mainly on the Amazon agricultural frontier. Brazil ranks low – 10th – in UNESCO’s ranking of education for the 16 Latin American countries. Standards are particularly poor in public rural.